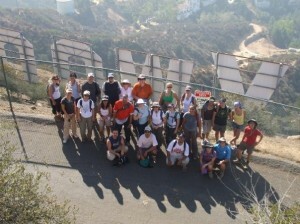 TRAIL NAME: Griffith Observatory to Mt. Hollywood to Mt. Lee at Griffith Park. 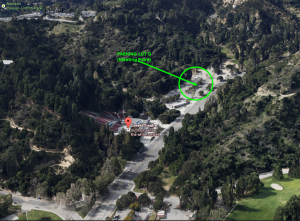 Please note the new meeting location for this hike (Parking Lot G, noted below). Parking Lot “G” – Meet by the benches (under the tree) next to the restrooms. PARKING FEE: None, the park offers free parking in this lot. TRAIL WALKTHROUGH: We will meet in Parking Lot G (our NEW meeting point). Depending on the group, we’ll either go uphill along the trail that parallels the bird sanctuary until we get halfways up Mt. Hollywood, OR we’ll go up along a narrow road that aligns with Vermont Canyon Rd and go to the Charlie Turner trailhead. Our goal will be to go up and around Mt. Hollywood Peak (aka Dante’s Peak) to save some energy for the rest of the walk. Once around Mt. Hollywood Peak, we’ll continue north on a fire road that will take to an short uphill section that has a pipe next to it, and end up in the area where the “Griffith Park Teahouse” used to reside. We’ll follow the fire road down past Taco Peak (aka Octagon Hill) and Mt Bell until we hit the Mount Hollywood Dr. We’ll cross that road and start going on a rolling hill trail that takes us on the South side of Mt. Chapel until we hit Mt. Lee Drive (expect to see white wooden fencing). Upon the arrival to the blacktop, we will go up Mt. 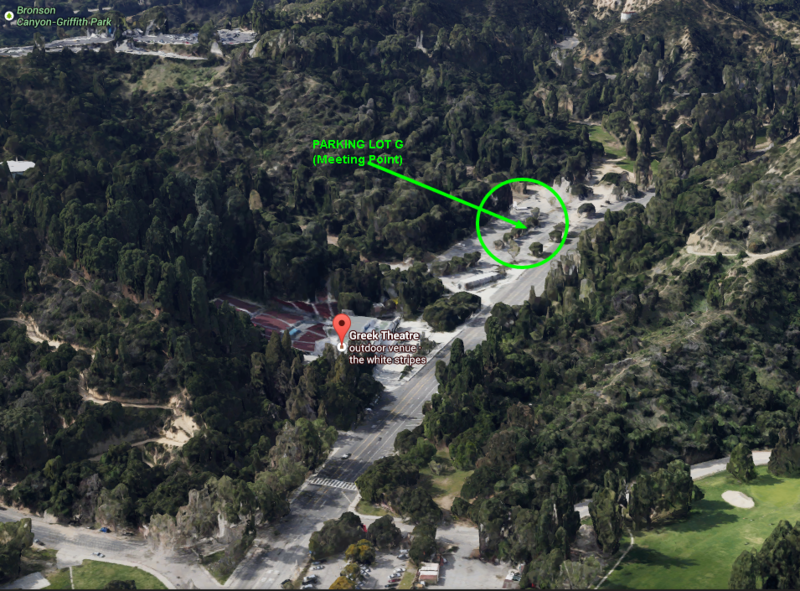 Lee Dr. , past the Cahuenga Peak rock plaque (noting the addition of Cahuenga Peak to Griffith Park) see green fencing. 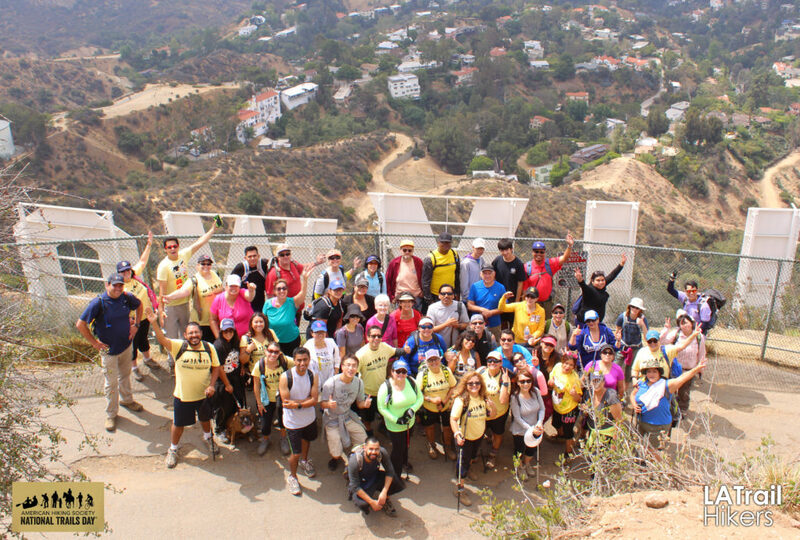 Once there we’ll continue until we get to the top (past the antenna area) where you’ll encounter the American Flag along with an incredible view of the (backside of the) Hollywood Sign letters, Hollywood reservoir, and the surrounding cities. NOTE: You won’t be able to touch the letters as they are fenced off and under surveillance 24/7, but you will be close enough for some great pictures. We return on a slightly similar path, but it’s usually a bit easier once we get around Dante’s peak area, where we will take an easier path down back to the trailhead. WATER REQUIRED. WATER CHECK WILL BE PERFORMED. If you do not take enough water or are not appropriately equipped for this hike, you will be turned away from doing this hike with us even if you show up. Please note, that we have expectations for Level 5 hikers. 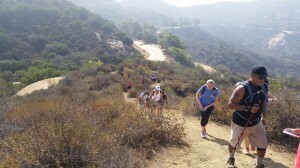 REQUIRED: 2 to 3 Liters of water, sunscreen, a good small lunch/snack for the midway point. Must have a light breakfast bite to prior to the hike. RECOMMENDED: Comfortable walking shoes (Distance is a factor). Long Wind Breaker Pants (so dry brush doesn’t hit your legs). Double the water you usually take (usually a backpack or Camelbak/hydration pack are good to carry your water). Small Snack to eat when we get to the Hollywood Sign (You’ll want a snack!). Use the restroom prior to meeting time as there are none along the way. DOG-FRIENDLY? : Yes. However, it must be on a leash, have hiking experience, and must be friendly with other dogs and hikers. Must bring water and a container for it to drink from. And must pick up after your pet. 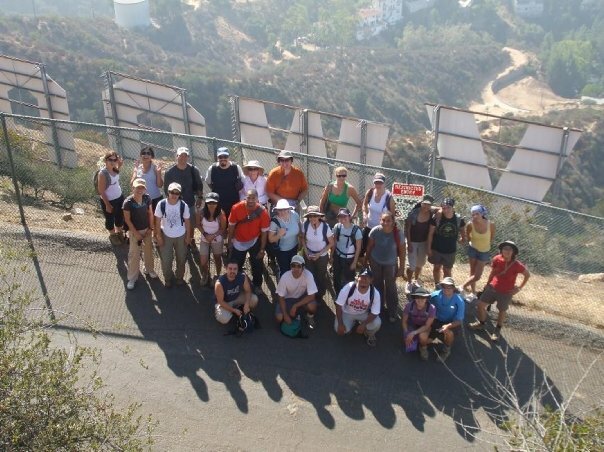 The Hollywood Sign Hike is quite a demanding trail distance wise, but quite fun! Try to pack as light as possible. Please plan accordingly.